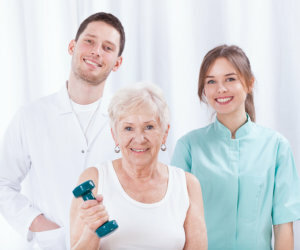 Physical Therapy | Home Health Care in PA | Progressive Health, Inc.
Our patients can restore their strength with help from our physical therapists. With our physical therapy services, we combine clinical excellence and experience when it comes to providing our patients with a care plan. Our physical therapists are licensed to assist patients in learning how to restore bodily function through several training sessions and programs. Call 610-789-1001 for more questions about our physical therapy service.